Governments and utilities involved in building the United States’ “smart” power grids of the future are also constructing some of the most attractive targets imaginable for potential adversaries in a cyber warfare scenario. In the recently-released Cyber War: The Next Threat to National Security and What to Do About It, by Richard Clark and Robert Knake, the power grids are identified as one of the three most important and vulnerable U.S. targets, the other two being the defense department’s IT infrastructure and private telecommunications backbone networks. Reports that would-be saboteurs have already attempted to disrupt the security of the electrical power supply in the United States have added urgency to the need for cyber security for the emerging smart grid. As a result, one key condition for the smart grid funding available last year under the federal stimulus program was that the awardees incorporate strong security into their smart grid initiatives. The threat in general, and these funding requirements in particular, will drive major investments in smart grid cyber security over the next several years, according to a recent report from Pike Research. The firm estimates that cyber security spending will represent approximately 15% of total smart grid capital investment between now and 2015. Cumulative investment in the security sector will reach $21 billion between 2010 and 2015, with annual revenue for security vendors reaching $3.7 billion by 2015. North America’s share of the market in that year is projected at $1.5 billion. 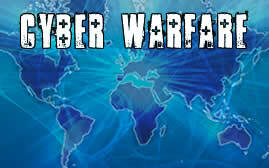 The threat of cyber war is no longer a topic for science-fiction. It’s real. Recent examples of actual cyber warfare include Russia’s coordinated cyber attack of Georgian governmental websites in 2008, Israel’s penetration of Syrian air defenses prior to a military strike on a nuclear facility in 2007, and the Bush administration’s use of cyber attacks to disrupt cell phone and computer communication among Iraqi insurgents. Michael Stevens is a contributing editor at SecurityWeek.